Here’s something ironic. It seems that the only thing more traumatic than visiting the dentist is actually … not visiting the dentist. According to the American Dental Association (ADA), even people with insurance coverage skip dental visits because of time and money. And then there are those that are just simply afraid to go. But regular dental checkups do more than just prevent bad breath. They can also catch medical issues like heart disease and diabetes. 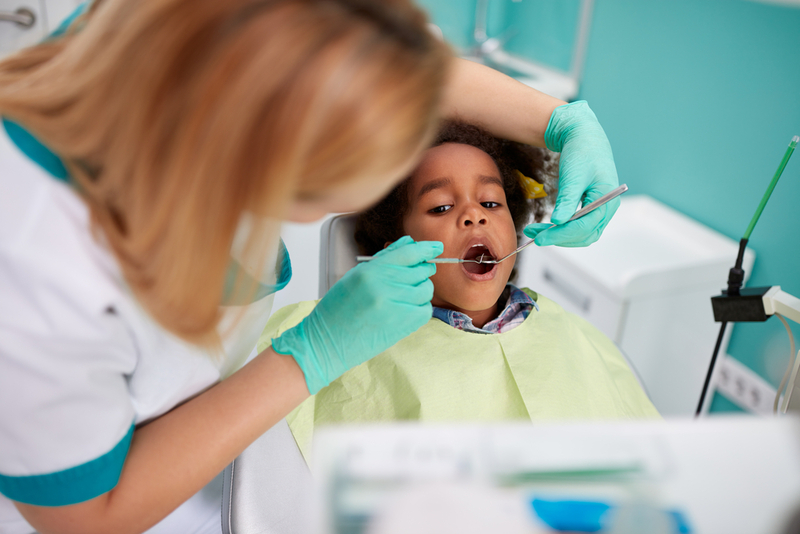 Skipping visits to the dentist has been shown to increase your risk of landing in the ER when dental problems worsen. For Blue Cross and Blue Shield of North Carolina (Blue Cross NC) members on our Individual Under 65 plans, preventive and diagnostic services are covered at 100% of the allowed amount. The Dental Blue for Seniors plan, for people over 65, has a $25 copay for preventive and diagnostic services. Below are 4 useful tips if you are looking for a dentist. Finding an in-network dentist will lessen your financial burden. Just like other doctors, dentists are grouped into in-network and out-of-network providers. You can visit either, but choosing an in-network dentist can help save on out-of-pocket costs. You can also avoid a surprise bill for the difference between what your insurance pays and what the out-of-network provider charges you. Our Find a Doctor tool will tell you which providers are in our network. Remember: Just because a provider accepts insurance does not mean that he or she is in-network. According to a survey done by U.S. News, one of the top things people consider when choosing a doctor is word-of-mouth reviews. Want a provider with a good reputation? Ask for recommendations from someone you trust. You can also see dentists’ online reviews. After all, we read reviews before we buy other products and services – why not shop the same way for a dentist? Another alternative is to ask your family doctor or pediatrician to recommend a dentist. Our Find a Doctor tool can help you locate a dentist convenient to your home or work. You are more likely to make and keep your appointment if the office is near you. You might also want to think about office hours. Does the dentist see patients on the weekends or after work? Do you prefer the office to be located near your job so you can go during your lunch break? Is the office clean? Are the people friendly and courteous? Have a talk with the dentist. Is she trustworthy and respectful? Does she explain things in a way that’s easy for you to understand? Are your questions or fears dismissed or are you encouraged to voice them? These four tips will help you select a dentist that meets your needs and your budget.